Cubic Hauling offers construction dumpster rental to builders, construction industry and contractors, commercial, government, and industrial clientele. Cubic Hauling makes construction dumpster rental an easy process. Our professional and knowledgeable staff will answer all of your questions and concerns. The entire dumpster rental process from placing your dumpster order, having it delivered and picked up, will be smooth sailing. 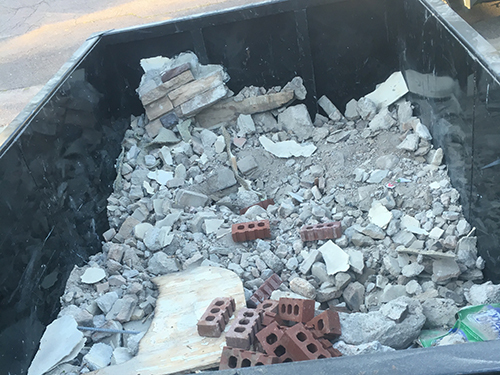 We can meet your construction debris removal needs whether your project is a smaller remodeling or renovation job, or a larger construction project that requires multiple dumpsters delivered to the site. All you need to do to get started is call us at 719-649-1417. We’re here to help! What Size Construction Roll Off Dumpsters Are Best For You? We offer 5, 10, 15 yard construction roll off dumpsters that are perfect for projects requiring smaller dumpsters to fit into limited spaces and/or the amount of debris to be removed does not require a larger 20-30 yard dumpster. 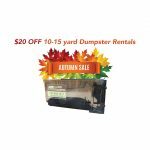 Our dumpster sizes are great for those needing a small dumpster. Our dumpsters are delivered on highly maneuverable 4×4 trucks that can fit the dumpsters where you need them. Rent a construction debris dumpster to dispose of construction waste properly and safely. Every construction project creates unique kinds of materials and requires a construction debris dumpster to meet those needs. 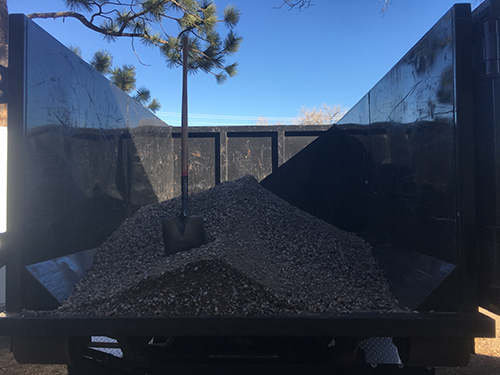 Cubic Hauling strives to provide Colorado Springs contractors with a local, dependable, and reliable construction dumpster rental service. We can handle construction debris, demolition debris, household junk and waste, dirt, concrete, roofing, metal, e-waste, yard debris, and more. Our construction dumpsters are durable, freshly painted, clean, and are built to withstand any debris removal needs you may have. Our goal is to allow the construction personnel to focus on the their project, while our professional drivers haul away the debris created by your construction job site. 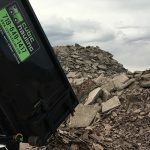 Cubic Hauling, Colorado Springs’ leading construction dumpster rental company, is here to make your construction sites free of debris and to help you complete your construction projects the way you want. Give Cubic Hauling a call at 719-649-1417 to rent a construction dumpster for your project! 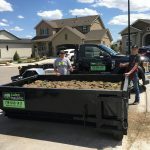 Cubic Hauling offers construction dumpster rental in Colorado Springs and the surrounding metro areas. We serve commercial & residential customers for construction cleanup, cleanouts, and debris removal. Call today at (719) 649-1417 for a free estimate!